Stephanie Stradley excels in legal research, writing-intensive projects, organization, and assists in time-intensive parts of cases, such as preparing for trial. She is also available for outside consulting projects in both law and social media. She enjoys helping individuals and companies find audiences for their products and services in a way that helps both companies and their customers. As a legal generalist with a practical background in many areas of the law, traditional and new media, she can often find collaborative solutions to peoples’ problems and opportunities for their businesses. With a father in the Air Force, Stephanie lived in seven states throughout the United States before finally moving to Houston. She went to high school in northwest Houston at Cypress Creek High School where she excelled in academic speech and debate. She continued her competition in speech and debate in college at Trinity University. At The University of Texas School of Law, Stephanie graded onto the American Journal of Criminal Law after her first year, with one of the two highest grades in Criminal Law. She became a member of the AJCL editorial staff in her second year. She received the Texas Ex Scholarship her first year after obtaining one of the three highest first-year grade point averages. As a third-year student, she was picked to be what the University of Texas Law School calls a “Teaching Quizmaster” or “TQ” for short. TQs teach first-year law students on methods for legal research and writing and serve as a peer mentor. Upon graduation, she worked in-house for Chevron and then later Marathon Oil Company. In her capacity with both, she rotated through different business units and worked in different legal specialties. During her time with these companies, she negotiated vendor, employment and real estate contracts, performed employee training and worked on human resources issues, tried and managed litigation, created business policies and crisis management plans, led project teams, and testified in front of the Texas legislature. In 2000, to increase time flexibility in raising her children, she started working with her husband Bill. Stephanie met her future husband Bill while at the class used to prepare for the Texas Bar Exam. She thought he was the kindest guy she ever knew until she met his father who all would concede is even nicer. 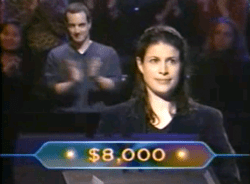 In 2001, she took the test to be on Who Wants To Be a Millionaire and producers eventually chose her to be on the prime time show. They flew her to New York City, put her up in a hotel, and she was able to sit in the hot seat across from Regis Philbin and won $64,000. She is a big sports fan, particularly of Houston teams, and has a particular love of the Houston Texans. 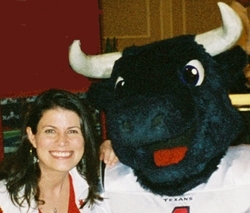 She was a four-time finalist of the Ultimate Texan Fan contest, and in 2006 was voted Ultimate Fan. In 2010, she attended SXSW and participated in the PepsiMax Blogs with Balls roundtable on the subject of the role of the web and sports, and creating online communities. That community was generous enough to help her win the Procter & Gamble “Show Us Your Colors” fan contest which got her tickets to the 2013 Super Bowl in New Orleans. In 2012, one of her Houston Chronicle blog posts was named “Best Blog Post” by the Houston Web Awards. The Texas Bar Journal in 2012 wrote a feature article about her unusual life and enthusiasm for advocating for fan interests. In 2013, The Houston Press named her “Best Sports Columnist” in The Best of Houston issue. In 2014, she was selected by a panel of judges as a Finalist for ESPN’s Fan Hall of Fame. She also writes about the intersection of law and sports at her own self titled blog and for various media outlets. Due to her clear analysis of the contractual issues relating to the Patriots’ “Spygate” controversy, she was quoted in the New York Times to translate the legal terms into something more easily understood by non-lawyers. 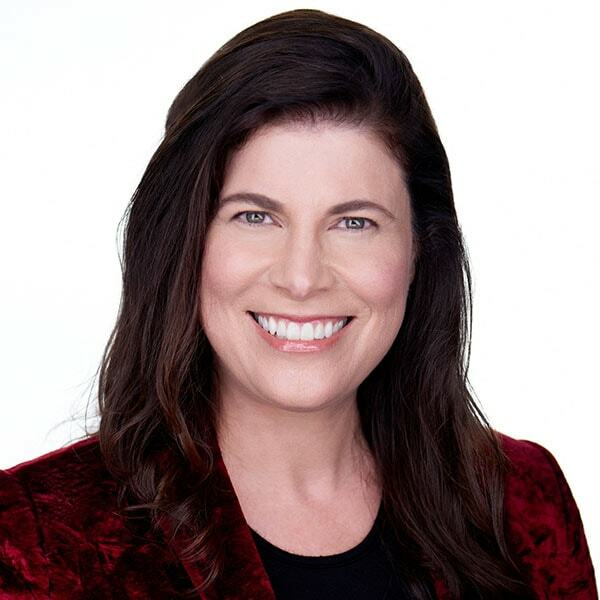 She has written extensively on NFL player and league discipline issues and high profile criminal cases involving athletes, such as the Roger Clemens trial. She wrote a guest post for Sports Illustrated’s MMQB on practical issues with immediate NFL discipline, and at the legal Above The Law blog about Deflategate. In 2017, she moderated a panel at the University of Houston called, “Sports Law: Behind the Lights, Cameras and Action – Deflategate and Beyond” as a part of the University of Houston Moot Court National Championship on that topic. In 2018, Stephanie gave a talk for the Trinity University Sports Philanthropy Class called, “Practical Ways of Using Social Media to Help People.” Using sports case studies, she discussed some of the practical ways to use social, new and traditional media together to get people to act for the benefit of others.